We pride ourselves on the diversity of our parcelles adding to the complexity of our assemblage, even across the same cépages. The climate of this mountainous region of Languedoc is known to produce more concentrated flavours as the vines experience true winter dormancy, cooler summers and significant diurnal temperature swings. The mountains shelter this hillside region; trapping both heat and sun during the day, providing cool air currents in the evening. The peaks block rain and clouds (the rainshadow effect) allowing for consistently sunny climate. This sunny climate is soothed by the sea breeze bringing additional moisture which is then dried by the Tramontane and Mistral winds from North. Our parcelles in Le Village and Borie de Moligne are characterised predominantly by silt, clay and limestone slopes, those in Felines spring from soft clay soil with traces of marble and schist. 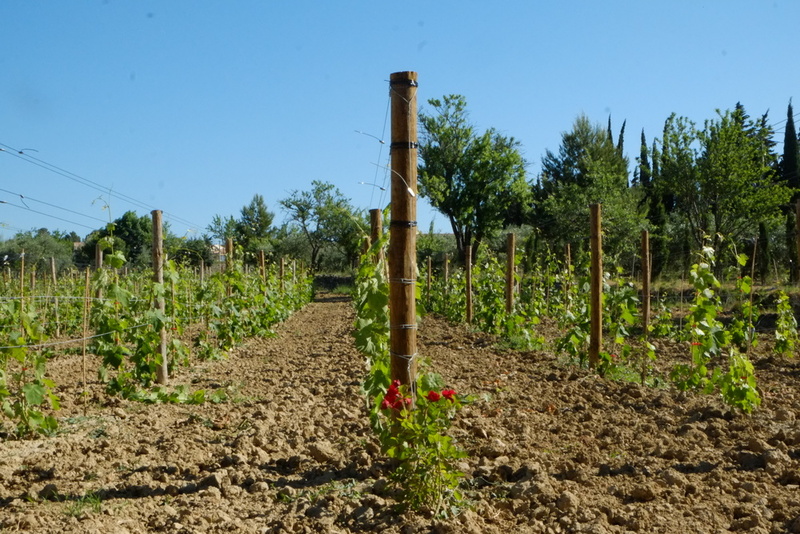 Due to the rich characteristics of our soil, all our parcelles are Cru classified. Our vines in Le Village and Borie de Moligne are trained by the cordon double technique, known for allowing ample sunshine and air circulation. We have chosen this method to control yield levels and concentrate the flavour of the fruit. In Felines where we have our oldest vines we use the time honoured tradition of the old world, Gobelet, perfect for these vieilles vignes.